Man, nothing makes me happier than aggravating the people around me. In all seriousness, though, when I read what she wrote, I told her I thought her plan was exactly the wrong thing to do. Since then, I’ve had 4 more people propose the same thing. They were wrong, too. All 5 of these people had parents whose bright idea was for the kids to send their money to their parents, who could bundle it with their investment and start earning some returns. Let me explain. Yes, it’s better to invest money that’s just sitting there, earning hardly anything in a bank account. But even though the parents have good intentions, this is one of the worst things they could suggest for their kids. Why? Because at our age, we should be learning how to manage our money ourselves. No financial advisors, no paid newsletters, no BS. And if we make mistakes, that’s ok–maybe we lose $100 here or there, but we learn from those mistakes. And we get confident enough to be increasingly aggressive with our investments, which is exactly the right strategy for people our age who are even moderately knowledgeable. Sidenote: I’m very sensitive to the cultural implications of my suggestion, which is a pretty Western-individualist idea. For example, in many households in India where parents and grown children live together, all the money is pooled together and anyone can use it. There are some clear advantages to that model (e.g., responsible spending, etc), but I want to help people learn to manage their own personal finances here. If we send our money to our parents, what happens? First, we develop a hands-off mentality: “Well, I don’t have to worry about it.” GOD IF I HEAR THIS ONE MORE TIME I AM GOING TO JUMP UP AND BEAT SOMEONE WITH AN ONION (that way it’s unclear why they’re crying). But as I’ve said over and over, investing is largely hands-off once you do the initial research. Buy and hold means buy something and…hold it! Not too hard once you do the initial research. Plus, if it’s your own money and you made the investment yourself, you’ll actually want to track its progress and research it. Trust me, it’s kind of fun. Second, we don’t have as transparent information as we’d have if it were our own investment. Sure, if you invested with your parents, you could probably get their password and log in every once in a while and check…but would you? Also, if their entire portfolio went up 30%, what does that mean for your money (which was invested at a different time than their money)? How much did you actually make? I hate math so I would avoid having to calculate this at all costs. Anyway, it’s pretty cool to see how much your own money has earned. Third, you want to give yourself bottom-line accountability for any gains or losses. No blaming the financial advisor, your parents’ fancy account for its fees, or them for choosing to move their money somewhere else. Your investments should be yours, and so should the wins or losses. Use them for advice! Use your friends and the Internet to help with evaluating invesments! But in the end, the investment decision is yours. I’m with you 100%. Everyone needs to learn to manage their own money. Besides, from what I’ve seen, most parents aren’t that great at handling money anyway. Agreed. My parents sent me to college in order to pass the baton down. If I can’t outperform my parents in investing, god help me when they are gone and I’m to fend for myself. Besides, since you’re young, you should be taking on a lot more risk than your parents. Taking more risks early can give you a huge head start. interesting stuff…makes a lot of sense. Some common sense advice you are giving. Right jerry..higher risk automatically guarantees us a higher return, right? Oh, well in that case, let me put 100% of my investments in the most risky pacific rim stocks I can find…how could I lose? If you read what I wrote, rather than what you imagined I wrote in your fevered brain, you will discover that I did not advise putting all your money into the riskiest thing you could find. You invest in a diversified portfolio of stocks or, better yet, index funds. You avoid the risk of a market crash by investing small amounts on a regular basis rather than all at once and by leaving your money in the market for at least a decade. Your parents, on the other hand, probably have all their money in a house, CDs, money market, and/or savings, none of which are very risky at all. Correspondingly, they do not yield very much compared to the stock market. But then, they know that a large chunk of their money won’t go away suddenly, which is more important than growth potential as you approach retirement. Over the long term, higher risk does indeed lead to higher rewards. Really, this is the closest thing there is to a fact in investing, and I’m shocked to find anyone contesting it. The more volatile (risky) a market is, the more dollar cost averaging works to your advantage by allowing you to obtain a better cost basis. If you don’t know what dollar cost averaging is, and I bet you don’t because if you did you never could have posted that message, look it up. If you don’t think that the investment strategies of young people and old people should be different, well, it’s your prerogative to be wrong, but I don’t recommend it. You’ll miss out on a lot of money that way. I couldn’t agree more. I’m a 24 year old male, and I just recently began investing. What I have learned will benefit me my entire life, and will ultimately, in all probability, be responsible for me sitting by my nice pool, in my nice backyard, in a nice neighborhood, looking at my nice, curvy wife in 20 years or so. I dunno if there will be any nice kids there. If I have em, they’ll probably be little ‘hellions’ as my childhood friend’s mother used to call us. Yeah, we gave her hell. 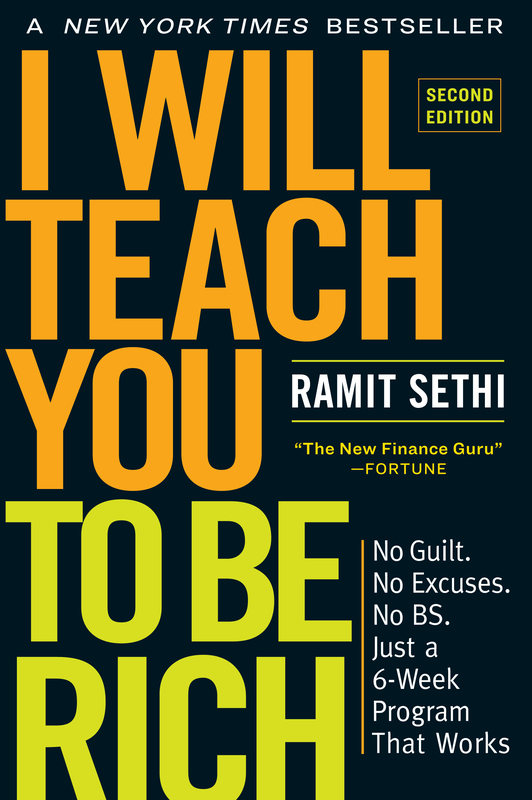 Ramit: I’m in India, and I’m not sure I understand this entire concept of handing money over to your parents. Perhaps I am a lot more involved with my investments – and then I manage my parents money too – but two different age groups with different requirements investing together is a downright stupid idea. Plus of course, the fact that if you want to buy a 64″ TV you don’t get asked the unanswerable “Why???”. I’ve started an investment plan for my child, but that ends with “You now have this much money. Now go do something with it or study or whatever”. Extreme, perhaps, but at least they have something to learn with. Rob- glad to hear money can buy you a nice, curvy wife. I love my mother to death, but I certainly didn’t learn the right finance lessons from her. AGREED! my parents, well my mom especially, do not seem to know the concept of transparency in terms of finances. and they are very risk-averse we had a major argument just because i wanted to move my school savings to a mutual fund. the money has been sitting in a time deposit earning 2-8% pa for SEVEN YEARS! what a waste. the usual guilt-inducing line from her was, don’t you trust our experience? and i’m like, it’s my money (i got it from acing a scholarship exam) and i’m guessing they have borrowed and returned it many times. and let me learn, since you won’t live forever. cruel, but effective. My parents actually pushed me to invest on my own. They are Chinese btw so that’s a little unusual. Though, right now they keep on nagging me to buy a house, which I think is a horrible idea right now in San Mateo. So I am glad I have control of my own money.